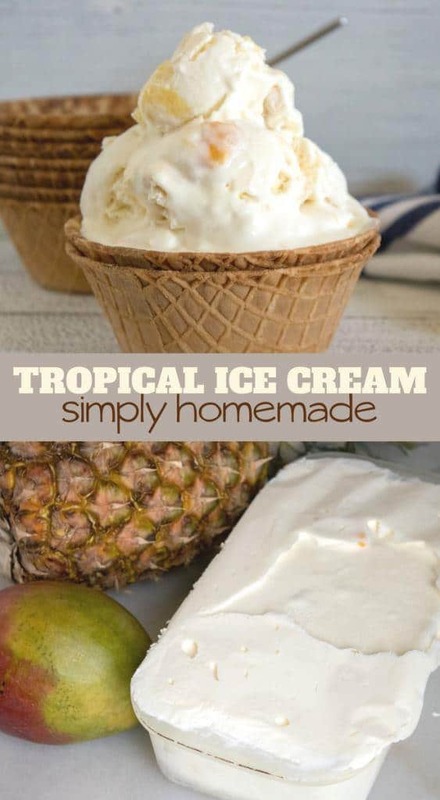 Anyway, this Tropical No Churn Ice Cream Recipe makes me think of pool-side umbrella drinks, non-alcoholic cocktails, of course. It has Island written all over it. 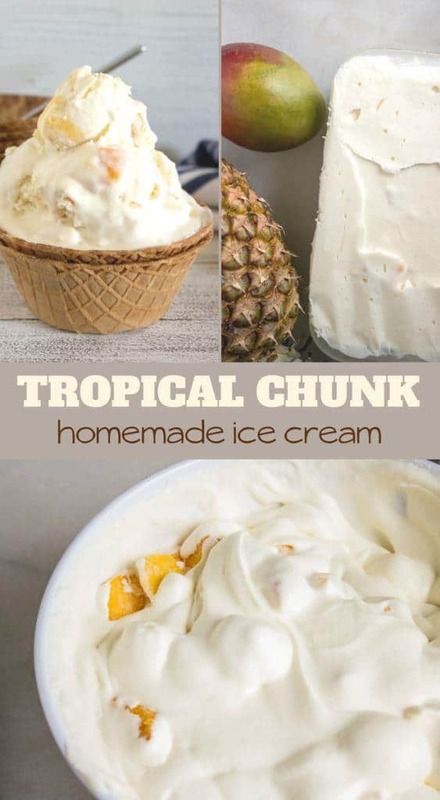 I am sure you and your’s will love the pineapple and mango flavors in this delicious homemade, no churn, ice cream recipe. Here in Southern Alabama, it is HOT. Like insanely hot. However, our kids are back in school and I am missing Summer. Not the temperatures, just the vibe, ya’ know? In my opinion, the only way to make mango and pineapple seem more “summer” is to put it into creamy, delicious, frozen cream – ice cream! 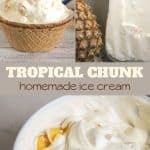 Reminder, not all ingredients in the Tropical No Churn Ice Cream Recipe are linked above, just the ones that may be a bit difficult to find or that you might be unsure of what to look for. When making Tropical No Churn Ice Cream at home, you really need to have the following Amazon affiliate tools on hand. 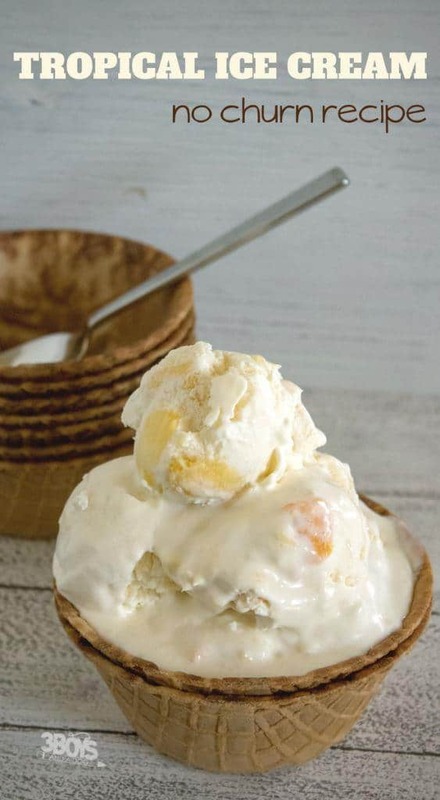 This Tropical No Churn Ice Cream is like an umbrella drink with its island vibes. 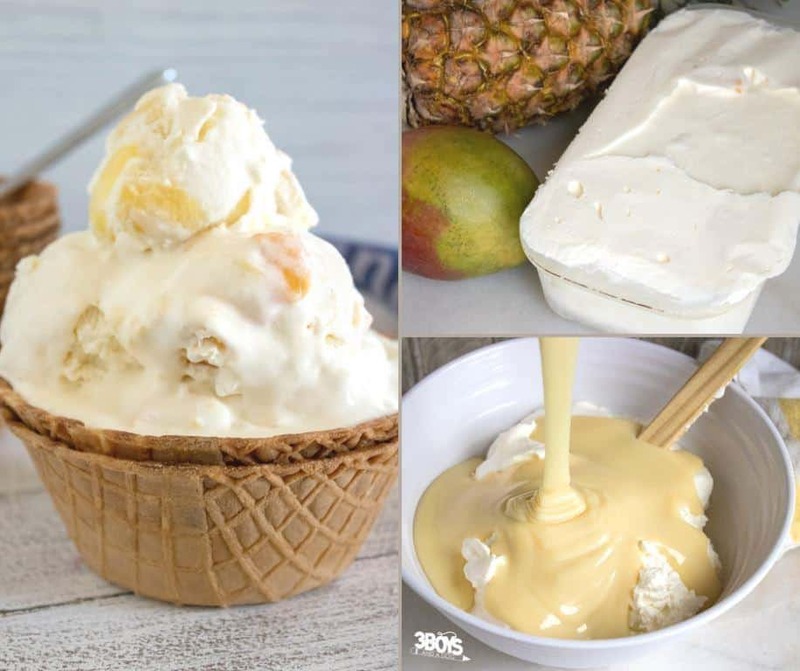 You will love the pineapple and mango flavors in this homemade ice cream. Mix in fruit, or you can add in the fruit as you add it to a container. Next, pour ice cream into a freezer safe container. I’ve been seeing this no churn ice cream on blogs lately. Looks so delicious! I need to try it. Thanks for sharing with SYC. Lovin’ this Tropical Ice Cream. Thank you for sharing at Happiness is Homemade. Looks yummy! I haven’t tried to make my own ice cream like this yet. Thank you for sharing on Merry Monday! Hope to see ya next week! Love those mango chunks! I have an ice cream maker, but for some reason I prefer no-churn recipes – this one is no exception! Yum! I love the combo of pineapple and mango. I bet this would be amazing with a caramel sauce. oooh, I bet it would too!